President Olusegun Obasanjo, PhD, has dismissed media reports that he has decided not to support any candidate for highly anticipated 2019 presidential election in Nigeria. He made the clarification in a statement by his media aide, Kehinde Akinyemi. “It is disingenuous, if not malicious, for anyone to suggest that Chief Obasanjo was being neutral when he chose not to use the Owu Convention as a platform for political campaign but instead adopt a communal and familial approach in talking to members of his Owu family. He explained that Obasanjo’s statement did not suggest his neutrality, as he believes that, “only a fool will sit on the fence or be neutral when his or her country is being destroyed with incompetence, corruption, lack of focus, insecurity, nepotism, brazen impunity and denial of the obvious. Obasanjo said he would continue to speak against poor governance and nobody should manipulate his stance on the 2019 presidential election. Obasanjo was an ally of President Muhammadu Buhari, whom he supported for the 2015 general elections, but he wasn’t impressed by Buhari’s performance. He has, however, accused Buhari of nepotism, poor performance and sectionalism, and declared his support for Atiku. Hey Buddy!, I found this information for you: "Only A Fool Will Be Neutral When Nigeria Suffer Incompetence & Nepotism – Obasanjo". 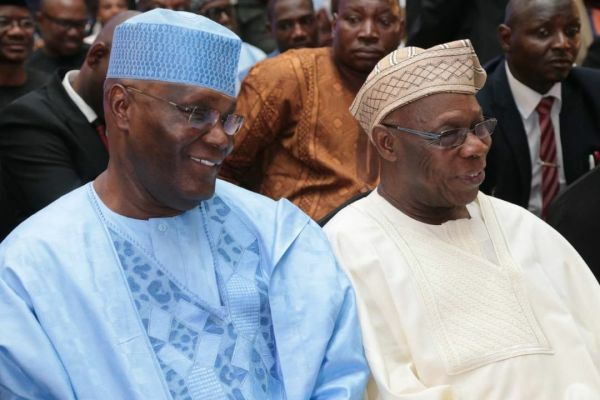 Here is the website link: https://headlinenews365.com/only-a-fool-will-be-neutral-when-nigeria-suffer-incompetence-nepotism-obasanjo/. Thank you.